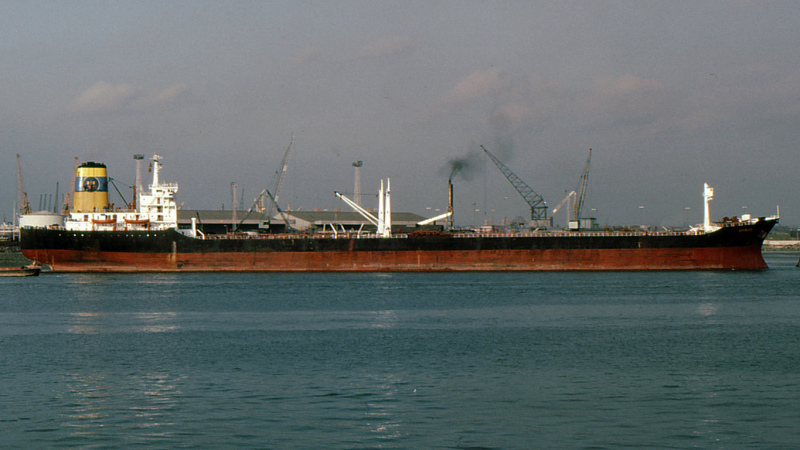 Operated under the Greek flag by Polembros Shipping Ltd, London. Propulsion: ten-cylinder, two-stroke Hitachi Zosen-B&W 10-74VT2BF-160 of 16,500 bhp at 119 rpm. This photo has been shown 165 times since it was added to the site.